More than 200 trainee engineers will be hired across the West Midlands as part of the largest recruitment drive ever undertaken by Openreach. The 204 new West Midlands roles, part of 3,500 available across the UK during the next 12 months, will be located around the region, including in Birmingham, Bridgnorth, Coventry, Dudley, Hereford, Kidderminster, Stafford, Stourport, Stratford-upon-Avon, Tern Hill near Market Drayton, Wolverhampton and Worcester. 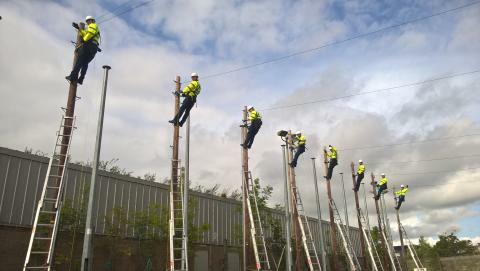 The trainees will join the UK’s largest team of telecoms engineers working to expand, upgrade, maintain and install new services over Openreach’s national broadband network.